As an aspiring blogger, you may find yourself somewhat overwhelmed by the process of setting up a blog platform, finding and editing a theme, choosing graphics, and creating content. These things, especially at the onset, can be incredibly time consuming. The following are a series of tools you should familiarize yourself with. All will make your life as a blogger much easier. Blogger. There are several blogging platforms to consider as you plan the launch of your first blog. The two that are most popular are WordPress and Blogger. Blogger, a product of Google, is a free blogging platform hosted on the blogger.com server. The blogs are highly customizable and the back-end consists of quite a bit of drag-and-drop formatting. In the end, what you see is what you get. You can choose to purchase your own URL and redirect it to your Blogger blog as well. WordPress. WordPress is probably the most popular. You have two options when it comes to this platform. The first is to start a blog as a subdomain of wordpress.com. You'll have to follow the WordPress rules but you won't have to pay for hosting. Most professional bloggers opt to simply go to the WordPress.org site and download the blogging platform to upload onto their own servers. Many hosting providers will install WordPress automatically, saving you quite a bit of work. Regardless of the blogging platform you choose, you may want to have your own theme (template) customized or created. That's fine – if you have the time, money, or expertise to do so. If not, you may need to start looking around for some free or premium themes to use. BTemplates. BTemplates is a growing website full of free templates for those who have chosen to use the Blogger platform. The site gives you a wide variety of styles, ranging from 1-4 columns, and features a number of theme layouts adapted from WordPress as well. The site offers detailed instructions on how to get your new theme onto your Blogger blog. BloggerThemes. BloggerThemes is another great source for free Blogger templates. They range from colorful and bright to plain and minimalistic. The site also features a few extra tools and widgets you can install once your theme is up and running. Premium Blogger Themes (PBT). Premium Blogger Themes doesn't have much but what it does offer will help to turn your Blogger blog into a gorgeous portfolio gallery. Costs for these templates range from $15 - $20 USD. Wordpress.org. Wordpress.org is really the best place to start looking if you'd like a free theme for your WordPress blog. All of the themes listed here are approved by WordPress, meaning they're free of bugs, hidden codes, and other issues. You'll find hundreds to choose from. Premium WordPress. Premium WordPress is one of the best sites available for premium WordPress themes. The site indexes themes from a wide variety of contributors and features a series of different styles, including magazine styles, business styles, and video-oriented styles. Prices vary. Once you've decided to use your own domain and server, you'll need to upload your blogging platform, theme, and possibly some other plug-ins and pieces. 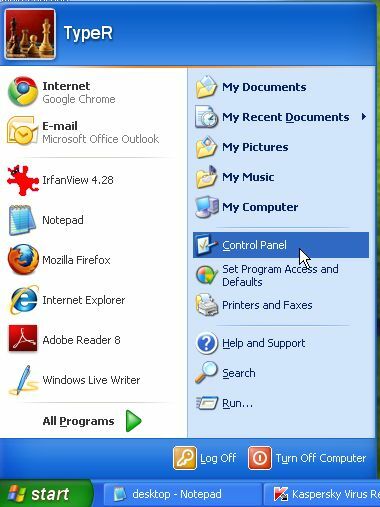 The easiest and fastest way to do this is by using a FTP software program. Using an FTP tool will save you the time and energy associated with uploading directly to your hosting provider, file by file. Core FTP. Core FTP is a Windows based software program perfect for the novice FTP user. 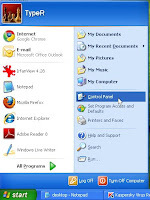 This particular program is free and allows for drag and drop support, the editing of files, and the creation of custom commands. FileZilla. FileZilla is another free FTP program and is considered open source software. The program is free to download and the main website features quite a number of updates regarding installation, new version releases, and bug fixes. When choosing images for your blog, it is important to make sure you are not violating the copyright of the person who created the images to start with. While it's always best to take your own pictures or create your own graphics, this isn't always feasible. Blog owners need to ensure the images they choose are free for use and, if running a commercial blog, that they are free for use on commercial sites. Google Images. Google Images is one of the first places you should look when in need of images. With a huge selection from across the web, it is easy to conduct an advanced search for specific keywords. The advanced search will also help you to find images that are earmarked for commercial use. Wikimedia Commons. Wikimedia Commons is full of images that are absolutely free to use. You must, however, read the permissions that are set by the author. Some have limitations regarding editing, sharing, and attribution. Flickr. Flickr is now owned by Yahoo! and is another excellent source for images. It is important to remember that many of the artists posting on this site are not offering their images for free. You must conduct an advanced search for images that are labeled as “creative commons” or “creative commons for commercial use.” If you want to use an image that is not marked as such, you'll need to contact the owner to make arrangements (and possibly payment). iStockPhoto. iStockPhoto is one of the web's premiere image galleries. While you will pay for images on this site, based on a credit system, you'll find an endless stream of ideas to choose from. Bloggers who want to present the most professional face possible will use this site frequently. Of course, before you can add images to your posts, you'll need to write them. All of the blogging platforms have text editors but you may find these difficult to use. Typing your post in Word or another program works, but sometimes requires additional formatting. There are some programs you can use to create your post completely and then paste it into your blog with the proper HTML formatting. Windows Live Writer. This incredibly handy tool makes quickly writing a blog post as simple as possible. Set-up includes adding your WordPress website information into the software. You'll then create a post, add your images and features, and let Windows Live Writer do the rest of the publishing. This is a great tool for those managing multiple blog sites. BlogDesk. This tools is similar to the aforementioned in that it allows you to edit a myriad of blogs. The neat part about this tool is that you can translate your post in up to 14 different languages and you can add pictures without editing them in an outside tool first. Ecto. This incredibly popular blog editor has garnered the attention of some of the pros. The drawback to this system, which offers the use of plugins and editing on a number of platforms, is that you must pay $17.95 to use it. A small price to pay for so much functionality. Google Alerts. Once you're ready to write, you'll need to find a topic. While you may find coming up with niche topics easy at first, you'll eventually find the task a little more daunting. All you have to do is enter your main keywords or phrases into the Google Alerts system and choose how you want to receive your updates. You'll be notified hourly, daily, weekly, or in an RSS feed when new items are published on the web that pertain to your niche. CoffeeCup. CoffeeCup is a great tool for those who know very little about HTML and CSS. If you need to edit something in you blog's code, this tool will help you to find what you are looking for so that you don't accidentally edit the wrong line. Comment Sniper. In order to build your name as a blogger, you'll need to be an active participant in the comments section on other blogs. Comment Sniper is a great tool that will let you know when top blogs within your niche (you'll index them) add new posts. These notifications are great for helping you to be amongst the first to get to the post and leave a comment, leading the conversation and garnering some attention. Blogging is an artform and, at the end of the day, there really are no rules. All of the above tools are designed to make your life a bit easier and there are dozens of others to choose from. Do a little bit of research and you'll find exactly what you need to run a successful blog. Dona Collins is a blogger, infographic artist and when she is free you can find her writing articles for CreditLoan.com and Creditloan blog.